To begin a career in engineering, you’ll need a bachelor’s degree and perhaps even a master’s degree, which totals to at least six years of college. Admission to the master’s program usually also requires a strong score on the Graduate Record Exam (GRE) or Graduate Management Admission Test (GMAT). You will serve as a teaching assistant during your final year, which will pay for 50% of your tuition. The program also provides advising by GEAR mentors, plenty of opportunities for research and internships, and access to first-rate research facilities. 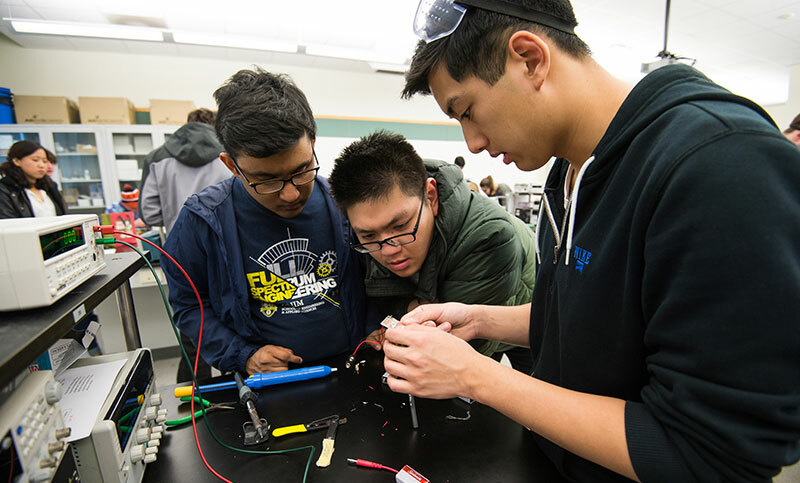 The Hajim School is one of the nation’s top engineering schools. Learning from and working alongside award-winning faculty, you’ll use state-of-the-art technology and facilities to support your unique and self-driven education. Apply through the Common Application by December 1. Indicate your interest in GEAR on your application in order to be considered. Apply through the Common Application by March 15 (only for transfer’s beginning fall semester). You will be notified of your finalist/non-finalist status in January. If you’re a finalist, you must interview with the Hajim School. Your final GEAR decision will be sent in early March. If you are not offered a finalist interview, you may still have your application reviewed for general admission to the College without GEAR. If you are admitted to the College through Early Decision, you will receive your admit letter in mid-December, but your GEAR application will follow the Regular Decision process described here. Accepting our Early Decision offer cannot be contingent upon your admission to GEAR. Express an interest in, and knowledge of, engineering programs at the University of Rochester. Take challenging classes (honors, AP, IB, college-level classes, etc. ), including at least one year of calculus. Do well academically (strong GEAR applicants typically have a 3.7 unweighted HS GPA and rank in the top 15 percent of their graduating class). Perform well on SAT Reasoning or ACT exams. Score 650 or higher on math- and science-based SAT Subject Tests (recommended). Participate in extracurricular activities related to engineering (e.g., FIRST Robotics, Talent Search, Science/Math Bowl). Study Abroad Student studied abroad in Sydney, Australia, and received credit for BME210, ME226, and two electives. This student would have completed two courses toward his/her master’s degree during his/her senior year. The rest of the credits needed (22–24) could be divided among the summer, fall, and spring semesters after senior year to complete the master’s degree. All GEAR students should speak with Kelly Johnson and their faculty advisor to plan their own schedule. You must have a 3.3 GPA overall by the time you apply to the graduate program in order to have guaranteed admission.